A pale pinkish mauve chiffon that drapes like a dream, with flowers and creeperss embroidered in golden thread all over, #75 is extra special because of the day and the beautiful baby we named Shaunak. 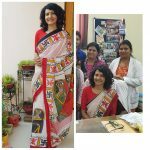 I still remember every moment of the barsa every time I drape this saree, and that is the real beauty of the saree – the memories they unfold within those five yards. 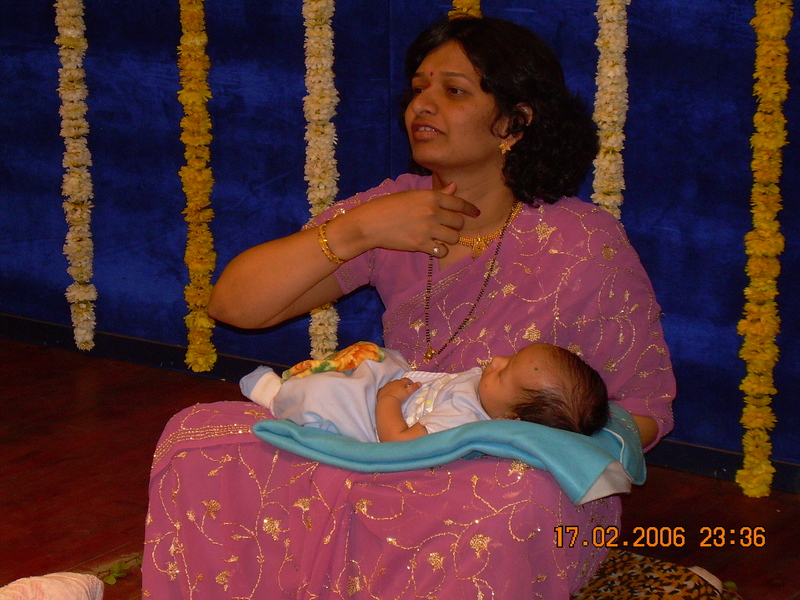 The picture is from the barsa itself, the first time I draped this saree and felt like the stars had descended on me.